Esha lost everything in the royal coup--and as the legendary rebel known as the Viper, she's made the guilty pay. Now she's been tasked with her most important mission to date: taking down the ruthless General Hotha. Kunal has been a soldier since childhood. His uncle, the general, has ensured that Kunal never strays from the path--even as a part of Kunal longs to join the outside world, which has only been growing more volatile. When Esha and Kunal's paths cross one fated night, an impossible chain of events unfolds. Both the Viper and the soldier think they're calling the shots, but they're not the only players moving the pieces. As the bonds that hold their land in order break down and the sins of the past meet the promise of a new future, both the soldier and the rebel must decide where their loyalties lie: with the lives they've killed to hold on to or with the love that's made them dream of something more. ESHA is a legend, but no one knows. It's only in the shadows that she moonlights as the Viper, the rebels' highly skilled assassin. She's devoted her life to avenging what she lost in the royal coup, and now she's been tasked with her most important mission to date: taking down the ruthless General Hotha. KUNAL has been a soldier since childhood, training morning and night to uphold the power of King Vardaan. His uncle, the general, has ensured that Kunal never strays from the path--even as a part of Kunal longs to join the outside world, which has been growing only more volatile. Then Esha's and Kunal's paths cross--and an unimaginable chain of events unfolds. Both the Viper and the soldier think they're calling the shots, but they're not the only players moving the pieces. As the bonds that hold their land in order break down and the sins of the past meet the promise of a new future, both rebel and soldier must make unforgivable choices. 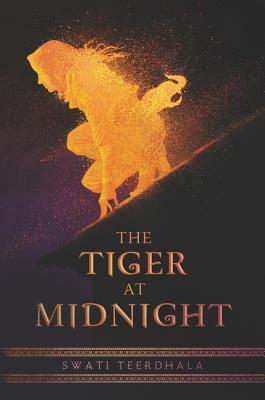 Drawing inspiration from ancient Indian history and Hindu mythology, the first book in Swati Teerdhala's debut fantasy trilogy captivates with electric romance, stunning action, and the fierce bonds that hold people together--and drive them apart.